It’s been a little over two years since Google announced that it would acquire Motorola Mobility for $12.5 billion, and these days Motorola has basically become the most interesting smartphone player in the business. 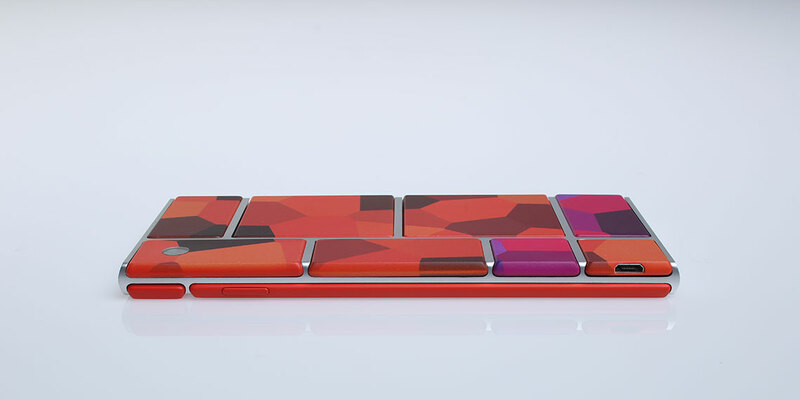 To wit: the Google subsidiary confirmed earlier this morning that it’s been on what it calls Project Ara, an open hardware platform centered about building modular smartphones and the parts that snap onto them. This, in short, is amazing. The initiative has apparently been in development for over a year now, and Motorola has outlined some of the basics in a blog post here. Long story short, the design calls for a base unit (or endoskeleton) that makes up the frame of the device, along with a slew of additional modules that snap onto the thing to extend its functionality. Are you a fan of physical keyboards? Attach one and start pecking out your emails. Need your phone to last a little longer? Swap out that battery module for a bigger one. The list goes on and on. If the timetable works out the way Motorola wants it to, it’ll release an alpha version of its Module Development Kit sometime this winter. I’ve heard that Motorola is cooking up some interesting things in terms of sensors behind closed doors, too, and it wouldn’t be a huge stretch to think about how they could be compartmentalized for use with a modular smartphone. In fact, Motorola already outed one of them — Associate VP Paul Eremenko alluded the blog post to the existence of a pulse oximeter module that can measure the oxygen saturation of a user’s blood. Granted, neither Motorola nor the fellow behind the viral Phonebloks concept (who the company tips its hat to) were the first to ponder out loud about the possibility of a modular cellphone. Remember Bug Labs? They gained plenty of notoriety back in 2008 for its modular hardware — users could snap on LCD screens, GPS transmitters, digital cameras, and 3G radio modules to a chunky base unit to turn it into a device that approached the sort of functionality one would expect from an early smartphone. And if we’re being honest, the Phonebloks concept that went blew up had little chance of ever becoming an actual product, no matter how slickly creator Dave Hakkens presented it. It seems the timing was just right though, and Motorola plans to tap into that growing Phonebloks fan community to help it figure out where to take the concept. For now, Motorola is inviting would-be users (sorry, “Ara Scouts”) to participate in missions that will aid in the company’s research. The first mission? Users are being asked to download an app and use it to share their thoughts and visions for what they’d want to see Project Ara become, and they’ve got exactly three days to get it done. Seems like a pretty harried pace, but that only bodes well for the rest of us — with any luck that may just mean the first prototype Ara devices get pushed out the door even quicker.